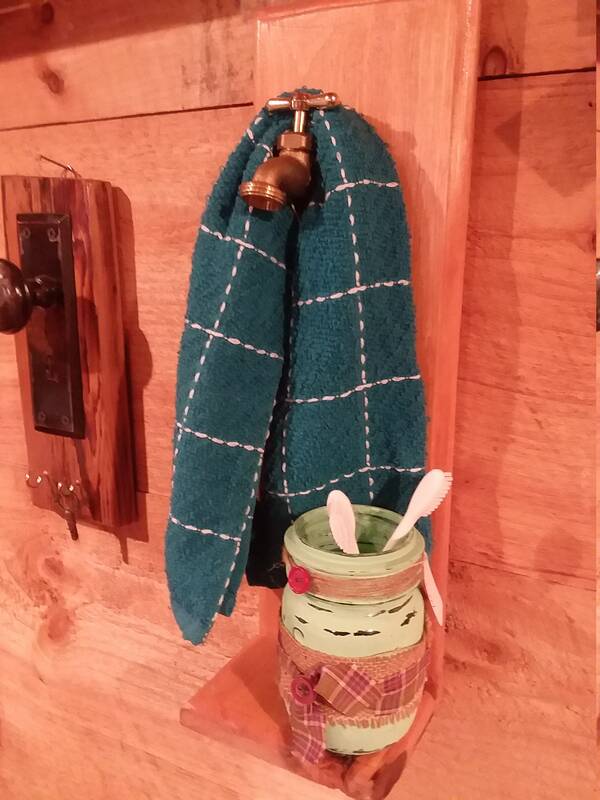 Great Gift for the Holiday's. 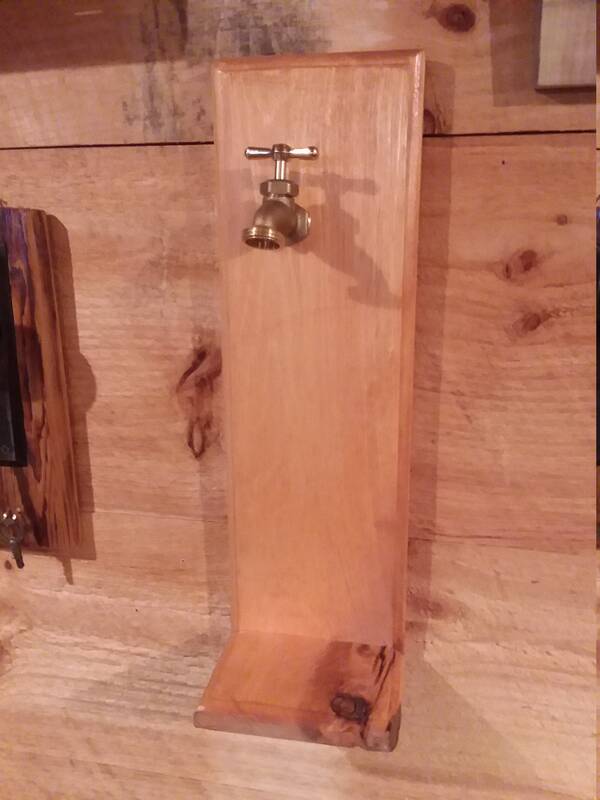 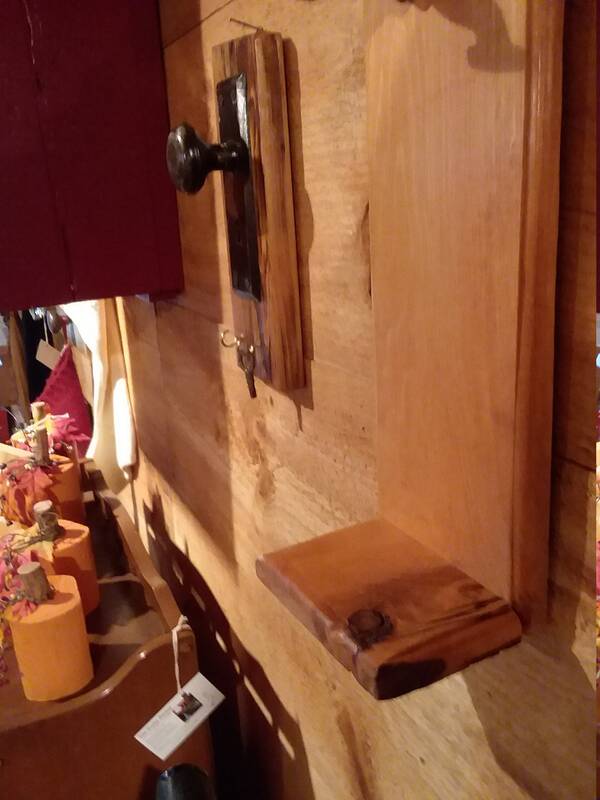 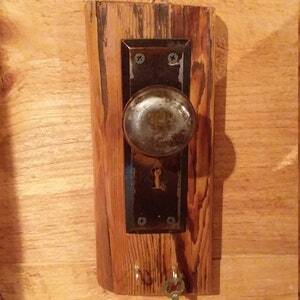 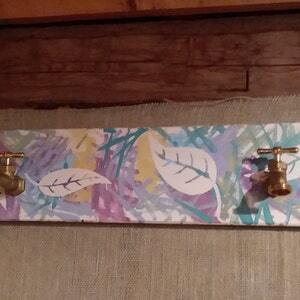 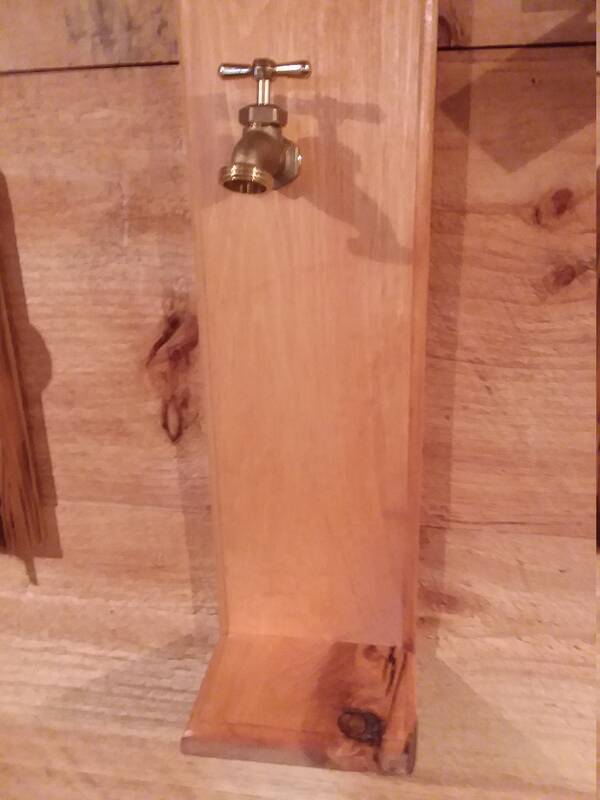 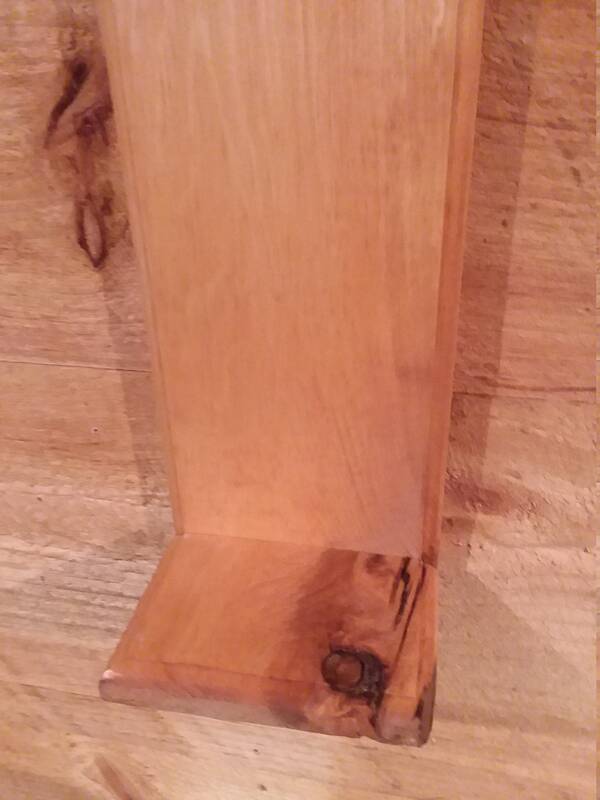 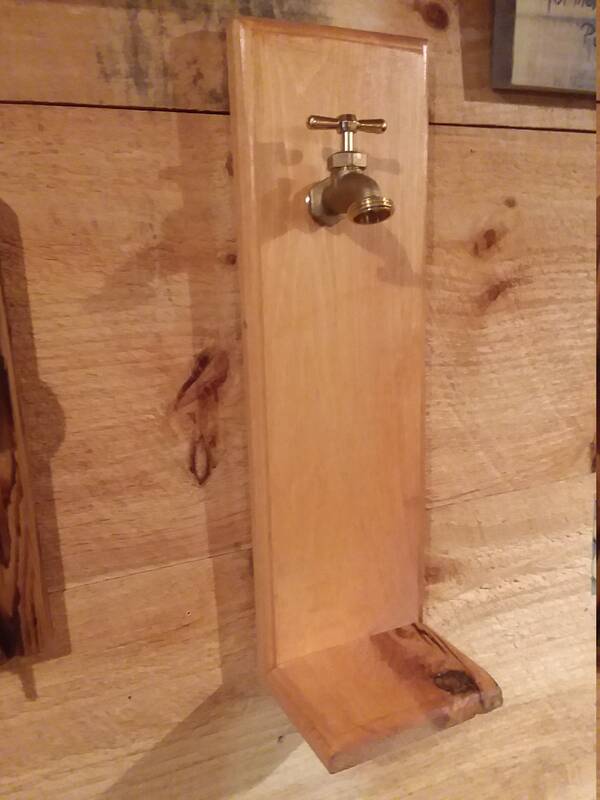 A Gold faucet handle mounted to a routed pine board with a shelf. 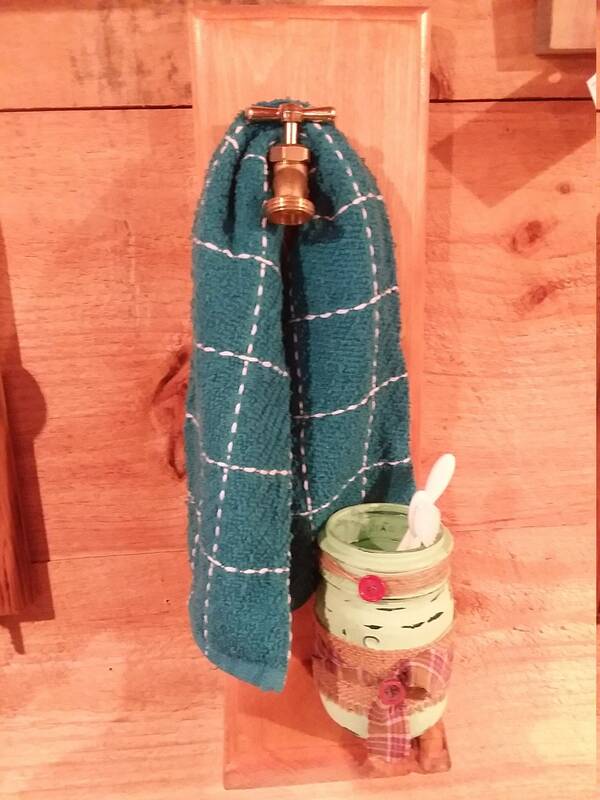 The faucet acts as a hook for various item's such as a towel, hat or even jewelry. 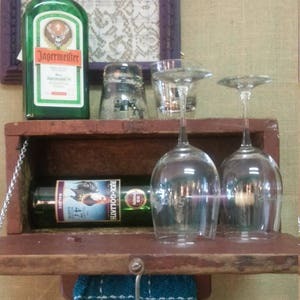 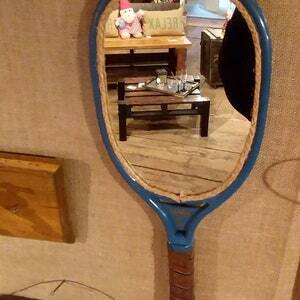 It is slightly offset to allow extra room on the shelf for storing additional item's.